Please, send me more information about ref DM4230-01 in La Alqueria, Benahavis or similar properties. 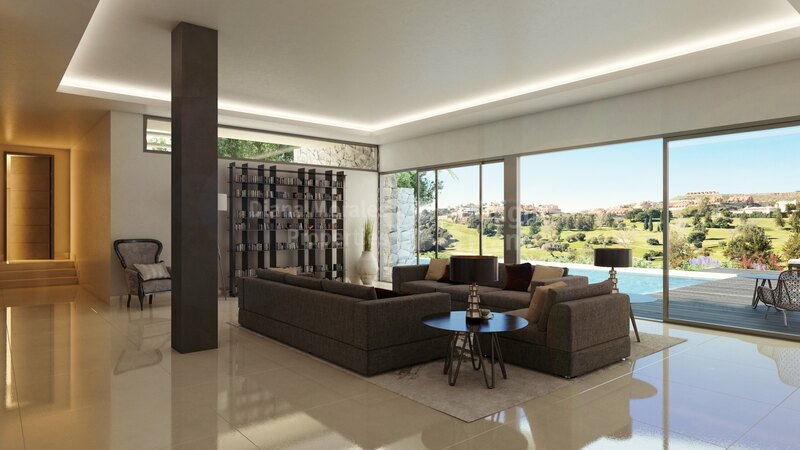 Cutting edge design and captivating views of the golf and the sea make unique this modern villa situated in the sought after area of Nueva Atalaya. 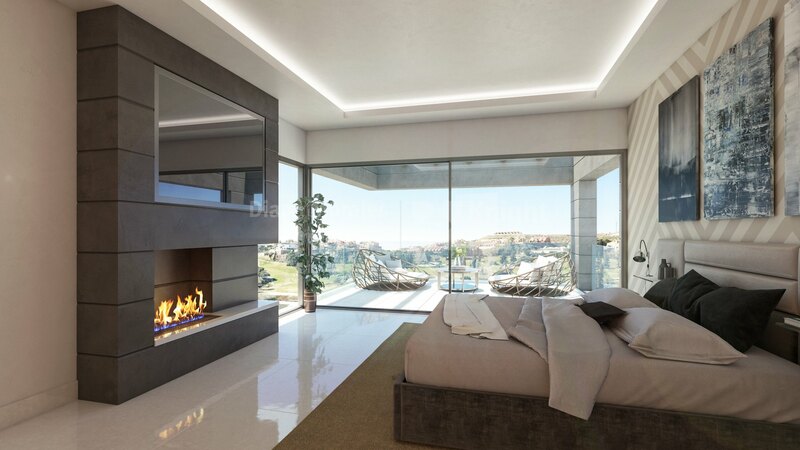 Set in a fantastic position boasting covered and uncovered terraces from which to enjoy views across the coast, and conveniently located on the road to Benahavis town, just 10 minutes drive from San Pedro and 15 minutes to Puerto Banús. 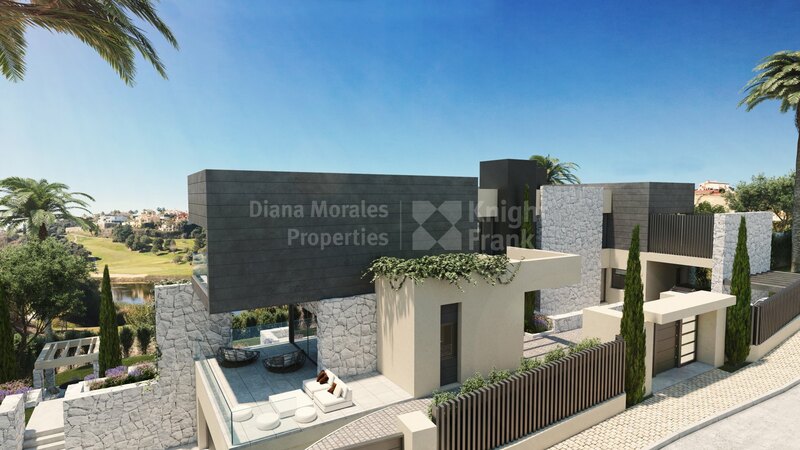 The surrounding area is also host to three golf courses, school and supermarket. Completion October 2019. 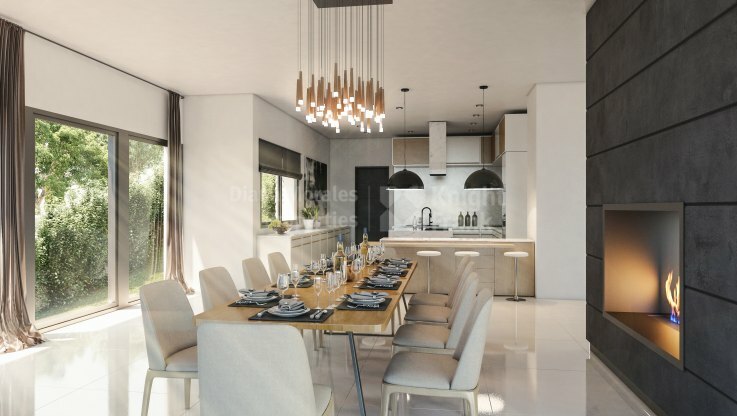 The house is built over three levels and features lounge with high ceilings and fireplace which also warms the fully fitted and equipped open plan kitchen with large dining table. The property offers 4 bedrooms. One of them on the ground floor, two including the master bedroom are on the first floor and the fourth one is in the semi-basement. 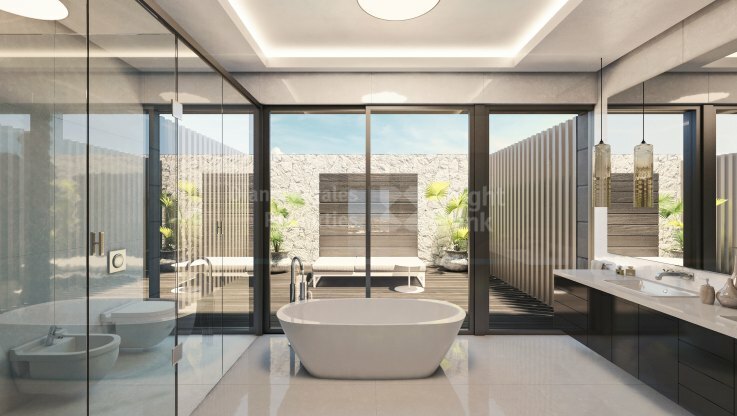 All the bedrooms have private bathrooms, dressing rooms and terraces. The villa also includes lots of storage space, two car garage, and two car covered carport, laundry room, pantry, summer lounge with porch and is surrounded by well maintained green garden and features private swimming pool. 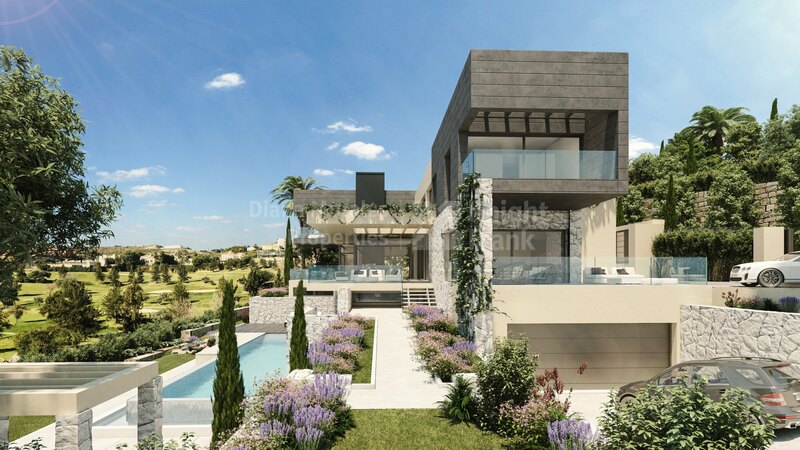 HOUSE WITH SOUTH/WEST ORIENTATION IN LA ALQUERÍA WITH VIEWS OF THE COAST AND FANTASTIC GOLF VIEWS. With the classic prime spots in and around Marbella essentially consolidated and offering only limited scope for further development, many of those keen to find a luxury modern Marbella villa or apartment are shifting their focus to nearby areas that still have expansion capacity. One such area is La Alquería, a peaceful residential zone close to the point where the Benahavis, Marbella and Estepona municipalities meet.